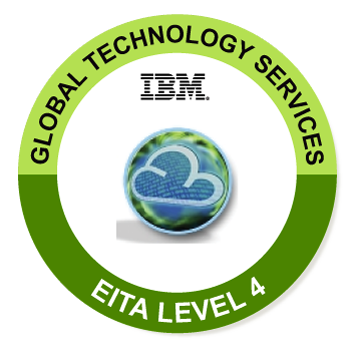 The professional who earns this badge has completed IBM Global Technology Services Enterprise IT Advisor Level 4 training and is a recognized leader in working with large enterprises to transform their IT environment from traditional IT to the next generation Hybrid IT “as a service” operations model underpinned by cloud (public and private), cognitive, analytics, automation and mobile. Successfully complete all learning topics in the Enterprise IT Advisor Levels 2-4 Learning Program. Successfully pass all mandatory Enterprise IT Advisor Level 4 Learning Program Mastery tests.